When I first went to see Mark, I wanted to lose weight and get fitter. 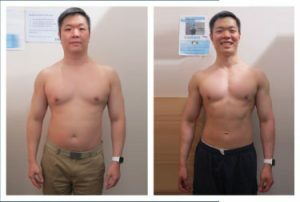 After my initial meeting with Mark, I realised that he wasn’t like any other trainer, he wasn’t in to quick fixes, he was in to teaching his clients to make a lifestyle change. Mark set up my nutrition program and set me up with my trainer, Erros. By the end of my 12-week program I had achieved more than what I had set out to do and I got so much more out if it than just losing weight. Thanks to Mark, I am now so much healthier and have learnt the skills that will be with me for the rest of my life. I never thought I would enjoy training but, thanks to Erros I love it now, I have learnt to push myself well beyond limits that I thought were possible. 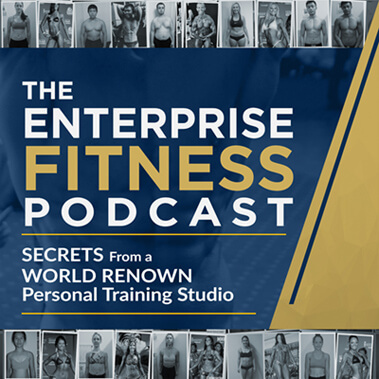 I cannot thank the Enterprise Fitness Team enough for their commitment to me and caring so much about my health and fitness. I cannot wait to do another program, so that I can increase my knowledge and fitness even further!